This double-sided hanging craft organiser is perfect for getting items off the floor and keeps items easily accessible. 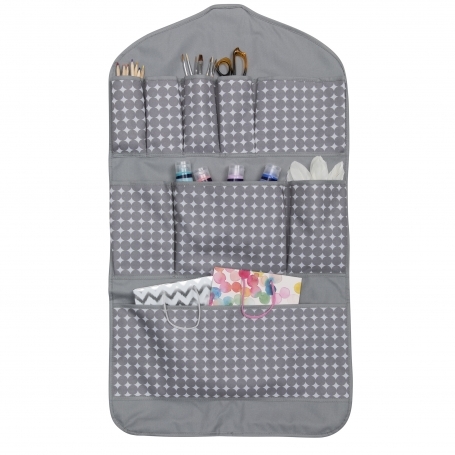 Simply slide this organiser over an existing coathanger and pop in your wardrobe. One side features two large pockets to for gift wrap while the other side has an assortment of pockets to hold all other supplies. Check out the other items in this range.